Home › Today in Crackdown › Our Statement Regarding 5th of April, Lawyers Day in Turkey. 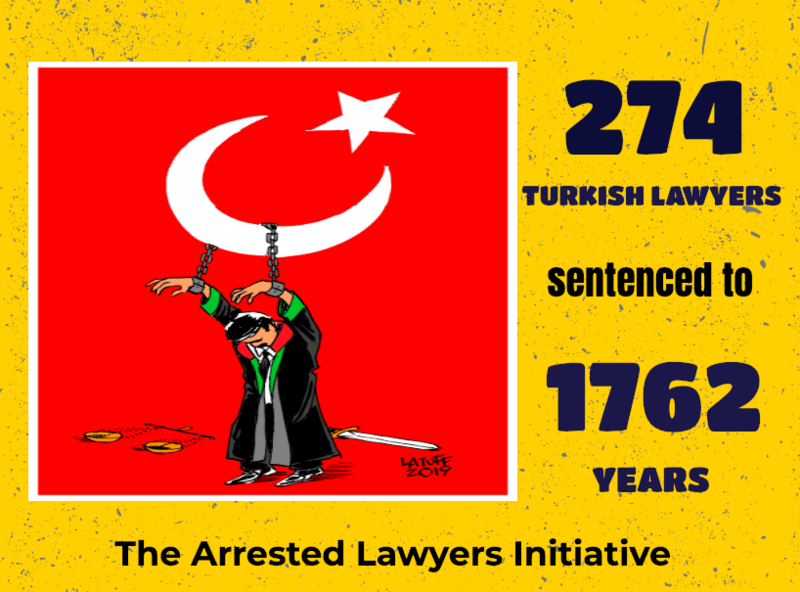 Today, 5th of April is the Lawyers Day in Turkey, the country where lawyers have been exposed to a relentless purge. Our latest report has revealed that in the aftermath of the July 15, 2016 coup attempt, 1,539 lawyers have been prosecuted, 580 have been arrested, and in some cases subjected to torture and ill-treatment in Turkey, just because of practising their duty as the defence in the legal mechanism. So far, 103 lawyers have been sentenced to long-term imprisonments. The right to defence and the guarantee for lawyers to perform their profession without fear of reprisal, hindrance, intimidation, or harassment are cornerstones of fair trial. Above-mentioned situation in Turkey has an indisputable chilling effect on the right to fair trial of Turkish people. Also, the Arrested Lawyers Initiative would like to call for the international legal organisations and the international community to be aware of the situation in Turkey and to continue supporting Turkish lawyers. Lastly, we would like to send out condemnation to Mr Metin Feyzioglu, Head of Turkish Bar Association for his acts legitimising Turkish Government’s crimes such as torture, abduction and judicial harassment against the lawyers and the general public.